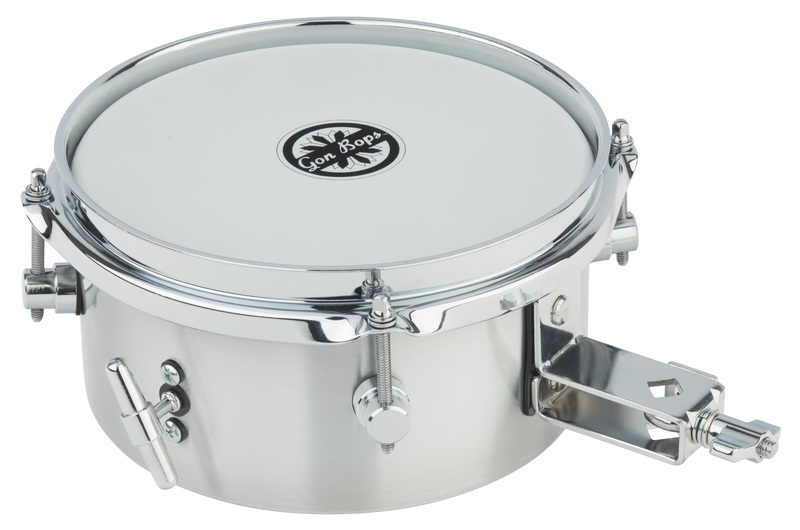 Gon Bops' Timbale Snare drum blends the exciting textures and accents of a traditional Latin timbale with a sensitive, long-range snare throw-off, the new Timbale snare provides the ability to play, high-tuned timbale accents with a snare back-beat at your fingertips. 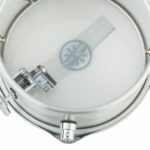 A unique, long-range, sensitive snare throw-off allows the player to slowly dial in snare sound – from a loose rattle to a tight, hip-hop backbeat. 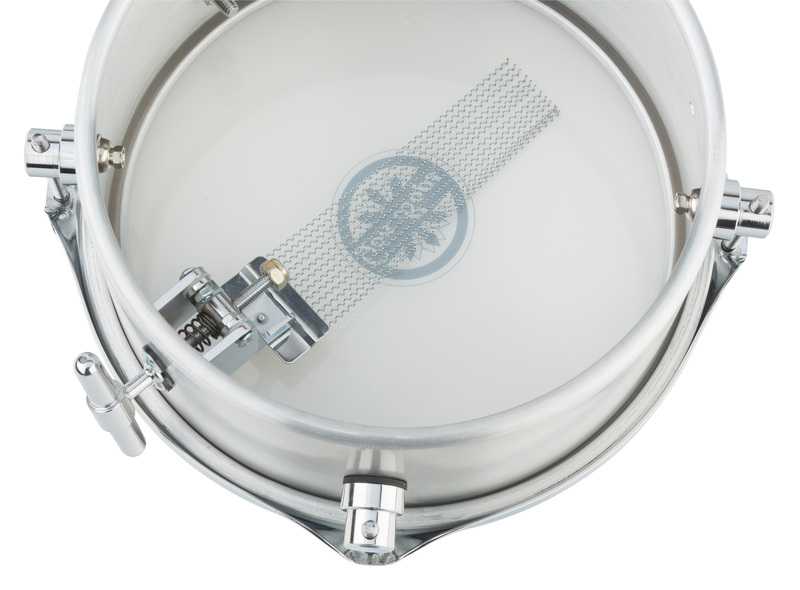 The Timbale Snare offers you the ability to play a super-wide range of tones: from snappy, cracking backbeats to cutting, barking timbale fills. Constructed with a lightweight, aluminum shell, the Gon Bops Timbale is easy to pack, easy to carry, and easy to incorporate into your drum kit or full-size Timbale set-up.